I don’t know if this link has been posted before but I found thousands and thousands of downloadable planes. There are too many to mention here. Most are balsa builds but easy to adapt to foam. Here are a few I would like to make. Funny I came across that site before finding FT. Chose a trainer model and printed out the plans, pieced them together and started planning the build. Then I came across FT and from there the story is well known, I am in love with foam board air planes. 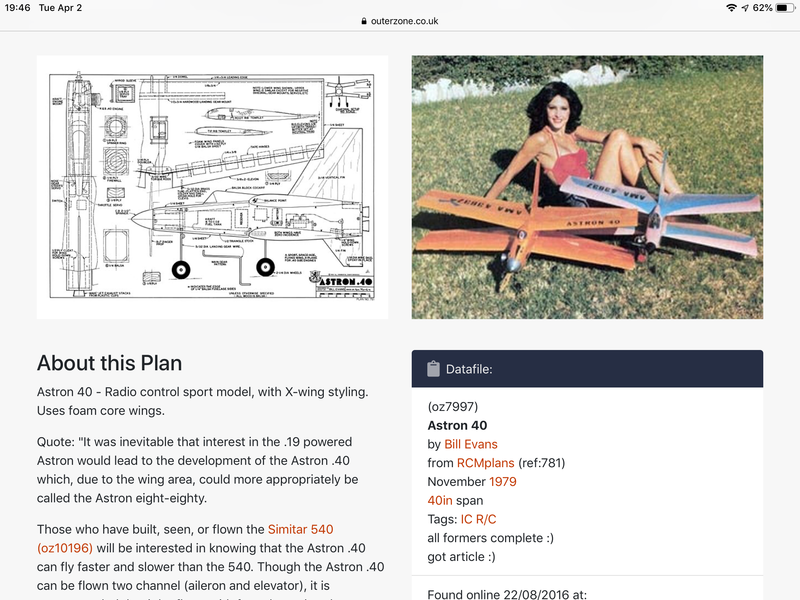 If you are looking for plane ideas check out their web site they have a large list of planes model you can try converting to FB FT style . I have gone there to find the background plans I use to start my FB versions. It's an amazing resource. 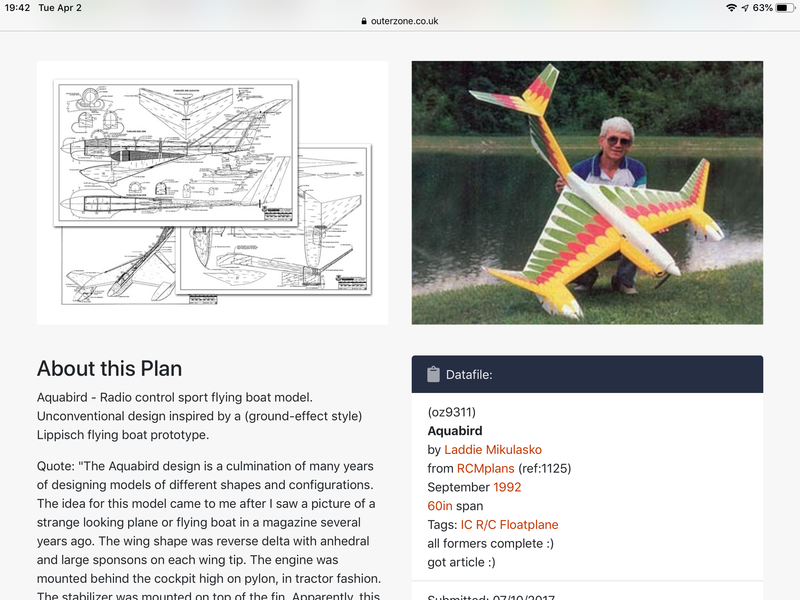 @rockyboy has run a couple of challenges (https://forum.flitetest.com/index.php?threads/2019-fantasy-aircraft-design-build-challenge.54677/) and there is talk the next one might be taking old balsa plans like these and doing them in foamboard. That could end up being inspiring. I hope at least one design emerges that can generate a lot of builds.